Q: What key fob will this smart remote shell fit on? A: The premium chrome metal key fob shell cover is made to fit over the 4-button smart key remotes of the Mercedes Benz E-Class E300 & E400 sedans. Q: Why won't this key case fit over my key remote? A: This chrome metal key cover is made to cover the entire key fob smart remote. 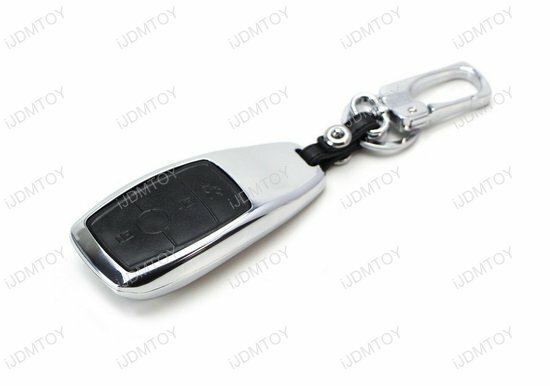 You will have to remove the mechanical key in order to use the chrome alloy metal key fob cover. Q: How do I loop the hook strap through the key fob shell? A: Step 1: Unscrew the bolt on the strap. Step 2: Loop the strap through the slit of the smart remote key fob shell. Step 3: Lay both ends of the strap over the screw hole and reapply the bolt to finish. 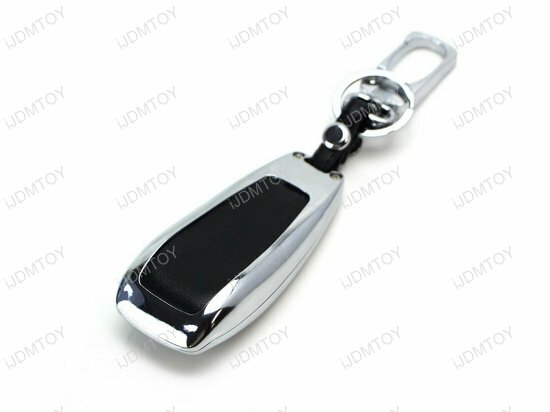 This page features the brand new premium chrome alloy metal key fob cover made to fit Mercedes remote smart keys. 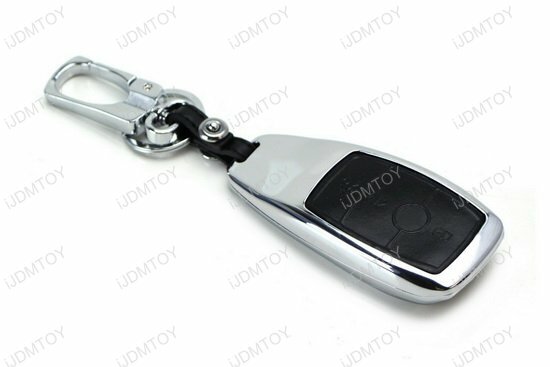 This folding key fob shell cover can be used to give your key remote chrome metallic touch while protecting it from wear and tear situations such as sustaining scratches, dropping onto the floor, or banging against hard surfaces. The smart key fob shell cover is made to fit 4-button remote keys of the Mercedes Benz E-Class E300 E400, 2018-up S-Class S450 S550e S560 S63 AMG S65 AMG sedan models. Please refer to the gallery images to make sure your smart key matches the picture's smart key before purchasing. 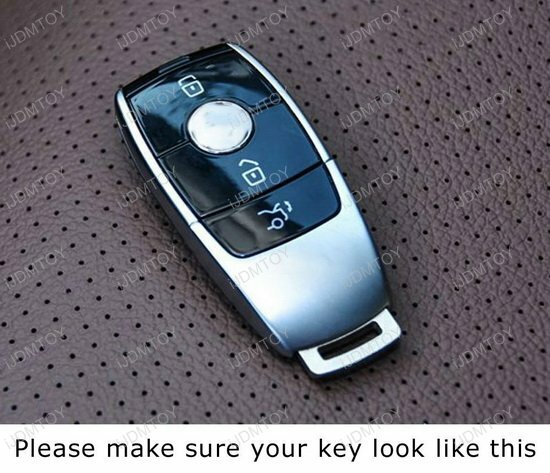 To use the premium chrome alloy metal key fob shell on your Mercedes remote, you must first remove the mechanical key off of the new Mercedes smart key fob.